Wall hung design gives the illusion of more floor space and makes the bathroom easier to clean. This stylish contemporary Clara Wall Hung Pan is manufactured from high quality vitreous china and comes complete with a soft close seat. 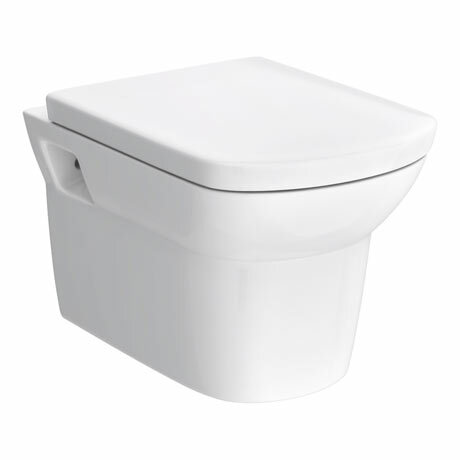 Suitable for use with Concealed Cistern Wall Hung Frame. Material - Manufactured from high quality vitreous china. Suitable for use with Concealed Cistern Wall Hung Frame. Wall hung design gives the illusion of more floor space and makes the bathroom easier to clean.